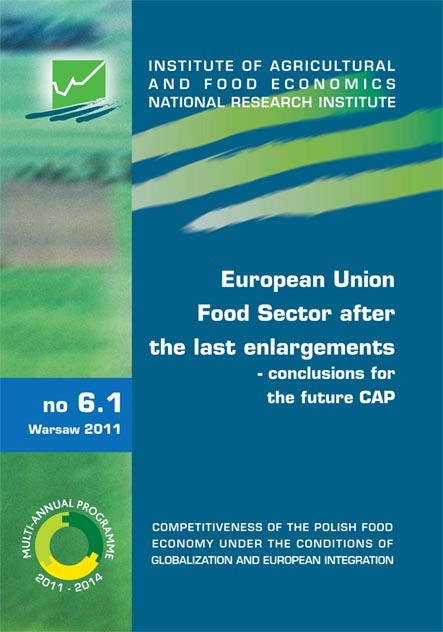 The publication “European Union Food Sector after the last enlargements – conclusions for the future CAP” was prepared within the Multi-Annual Programme 2011–2014 “Competitiveness of the Polish food economy in the conditions of globalization and European integration”. It contains the articles discussed during the Conference held in Rajgród in Poland, June 2011. During the two days the papers concerned with the economic situation of food sector and major processes in rural areas of different EU and Candidate Countries were presented. They were followed by the examples of problems faced by Countries willing to increase their connections with the EU food market.